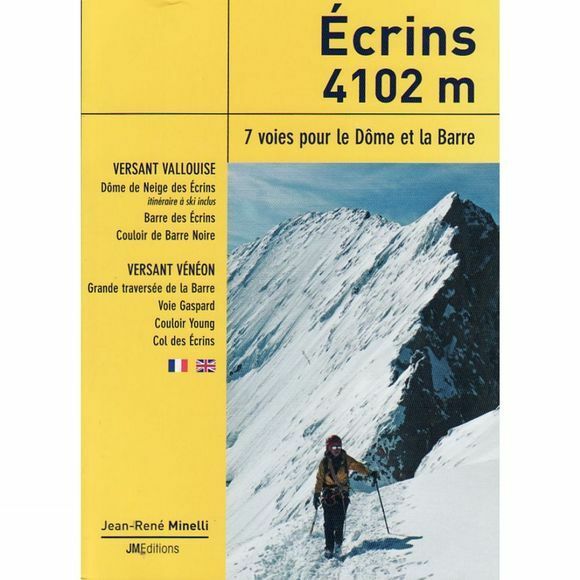 Every year, hundreds of mountaineers dream of climbing the Dome de Neige and Barre des Ecrins, the two most iconic summits of the Dauphine Alps. In this book, mountain guide Jean-Rene Minelli provides the keys to seven selected routes, some classics, others overlooked, providing detailed descriptions and photodiagrams. The Vallouise face, formed by the scintillating slopes of the famous Glacier Blanc, is home to the ordinary route and its variants – magnificent climbs for those looking to do their first '4,000er' or a high-altitude traverse: Dome de Neige des Ecrins, Barre des Ecrins, Barre Noire Couloir. The Veneon face, criss-crossed by a harmonious array of rocky ridges and snowy couloirs, provides more secluded routes that will delight mountaineers looking to get away from the crowds: Grand Traverse of the Barre, Gaspard Route, Young Couloir, Col des Ecrins. A mountain guide with the Compagnie Oisans-Ecrins, Jean-Rene Minelli is a true connoisseur of the mountains of the Oisans.